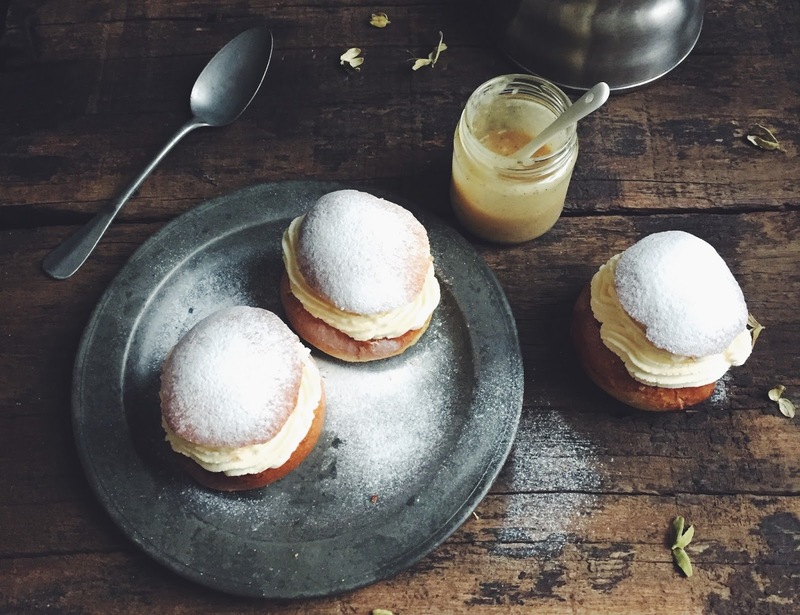 The Semla is definitely one of my favourite Swedish pastries. Made out of a wheat flour bun, seasoned with cardamom and filled with almond paste and whipped cream then dusted with powdered sugar. They’re not easy to get a hold of in Amsterdam so I bake my own. 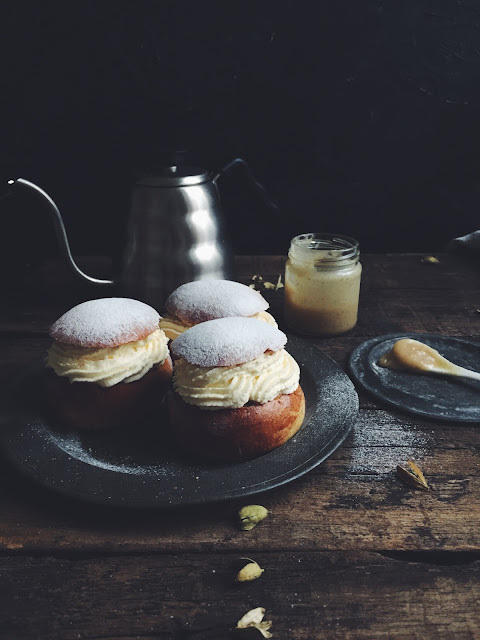 This year for my homemade Semlor I got the recipe from Linda Lomelino and they turned out delicious, the best ones I've made so far. Although you can buy ready made almond paste, like she mentions it’s definitely worth making your own, it’s not that difficult and so much better than store bought. 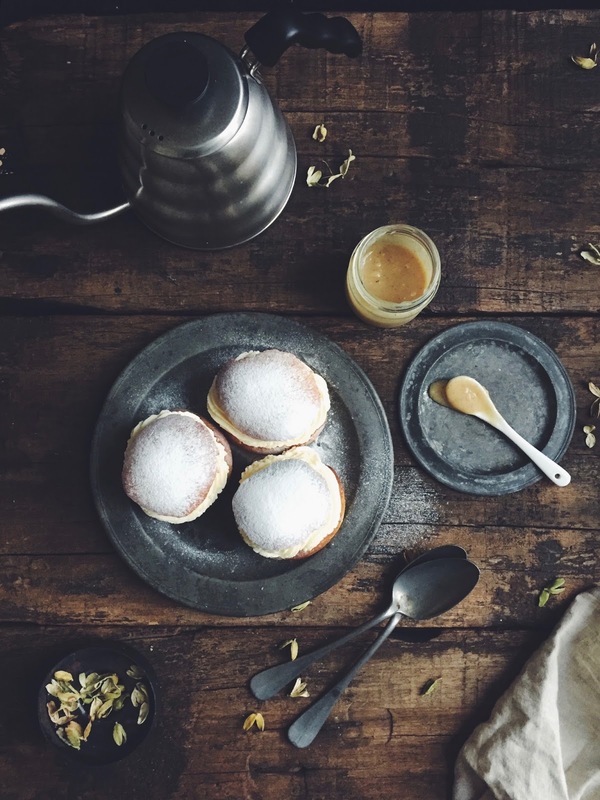 You can find her scrumptious Semlor recipe on her blog callmecupcake. And don't forget to have look at her breathtaking Instagram, she takes the most beautiful photographs.